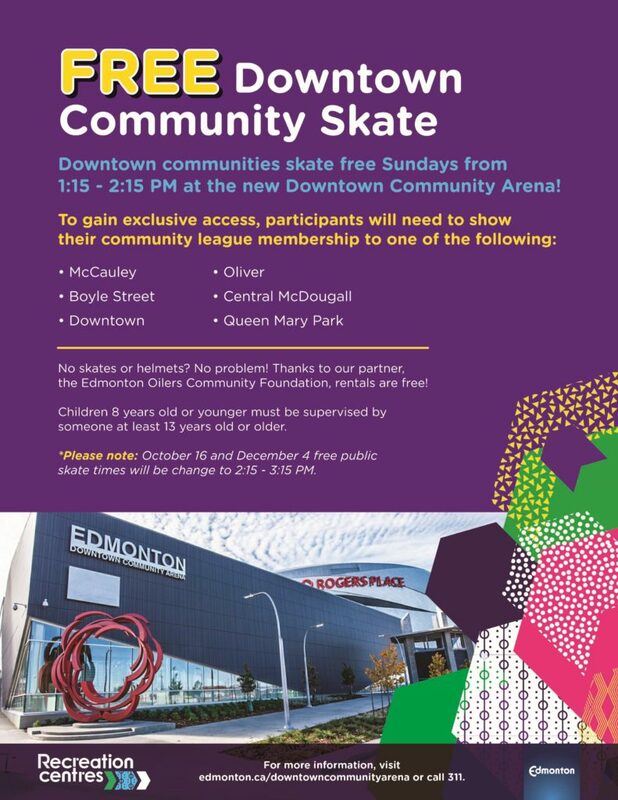 October 2 is the first FREE community league skate time at the new Edmonton Downtown Community Arena! This includes FREE skate and helmet rental. If you need to grab a DECL membership, find us at the City Market on 104 Street this Saturday, October 1 from 9am-3pm. You can also purchase you membership online at efcl.org.